April is National Minority Health Month – a time to raise awareness on issues impacting health disparities and health equity in America. The theme for 2017, “Bridging Health Equity Across Communities” emphasizes the collaborative, community-level work being done across the national to help achieve health equity. The conditions in the places where people are born, grow, live, work, play, learn, and age have significant impact on the health outcomes of individuals, families, and their communities. Through the month, the Heal th and Human Services Office of Minority Health (OMH) will highlight partner initiatives in communities that address the indirect conditions that affect health, also know as social determinants of health. While it’s easy to focus on the numbers, these statistics represent the symptoms of the problem rather than the cause. These factors are what the U.S. Department of Health and Human Services has defined as the “Social Determinants of Health.” Broadly, the factors fall into five categories: 1) economic stability, 2) education, 3) social/community setting, 4) health and healthcare, and the 5) neighborhood/environment. Disparities in AI/An health will not improve just by focusing on the numbers. Instead, improvement can be made through community health education, and economic standing, and by creating healthier and engaged communities. 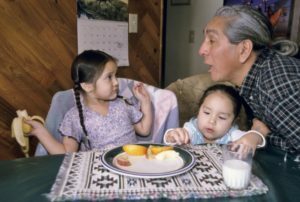 The National Indian Council on Aging (NICOA) strives to inform AI/AN Elders and others about healthcare disparities so that there is greater understanding about the many factors that influence health statistics and especially those that impact AI/AN communities. 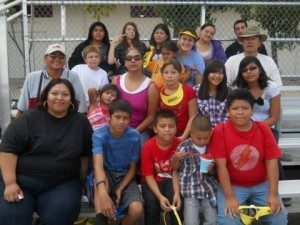 NICOA’s mission is to advocate for improved comprehensive health, social services, and economic wellbeing for American Indian and Alaska Native Elders. *The Indian Health Service (IHS), an agency within the Department of Health and Human Services, is responsible for providing federal health services to American Indian and Alaska Natives.